The dental office of Clive Rosenbusch, DDS is proud to offer the latest generation of dental lasers in our state-of-the-art Boca Raton dental facility. Laser dentistry has revolutionized dental treatments by making them faster, more effective and more satisfying to patients and practitioners than ever before. 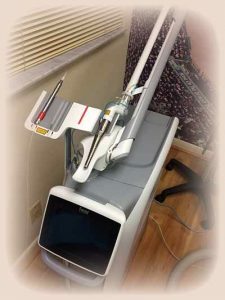 Our office utilizes the award-winning Fotona LightWalker dental laser system to provide a variety of minimally-invasive dental procedures that allow the patient to experience faster recovery times and minimal discomfort both during and after the procedure. It can be used instead of the dental drill often without novocaine as they do not touch the tooth and they are water cooled so no heat is produced. 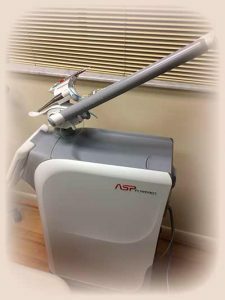 It can be used to treat Periodontal/gum diseases or pockets with the dual laser system with no cutting or sutures and very little bleeding and hence less post op discomfort and quicker healing time. This essentially eliminates traditional periodontal/gum surgery. It can be used to help treat root canals producing greater success rates. It can also help decrease snoring and Sleep Apnea. We welcome you to call us at 561-394-7888 or visit our dental office today to learn more about our laser dentistry procedures in Boca Raton, FL, and to schedule your next visit with Dr. Clive Rosenbusch. We look forward to caring for you and your family’s smiles!